Query displays and formats VTAM control blocks in real time, empowering you tointeractively administer network requests and debug even the most difficult problems quickly and intelligently. Using Query, you can make your network more reliable, available, and serviceable. As the ultimate in debugging tools, you can finally stop speculating about how VTAMworks and get the facts! 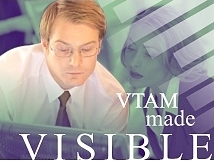 Query provides complete access to the VTAM control block structure via ISTEXCAA. You can dynamically request these control blocks using a simple menu and command system, which displays the results on real-time, customizable panels in hexadecimal and formatted views. Color-coded, selectable fields allow you to interpret individual bit settings and explore control blocks, buffers, and chain elements related to individual control block fields. Search tools and a system programmer consoles provide every tool you need to explore, diagnose, and remedy VTAM problems. A real-time monitor allows you to review results and session data online.